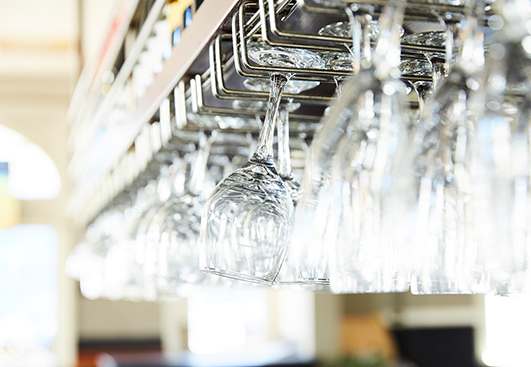 The Swan Hotel is the ideal venue for all your social and corporate functions.We can accommodate a private gathering of 20 guests or a cocktail style event for up to 150 guests. Our friendly and professional team will make your event one to remember. 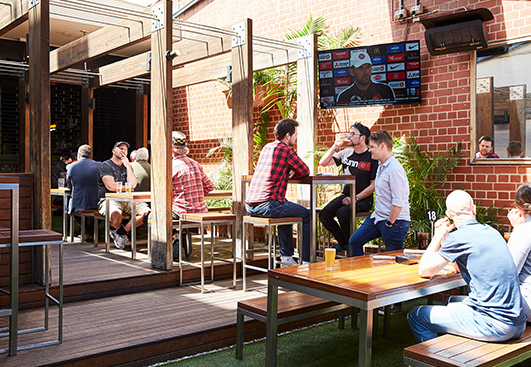 The Swan Hotel’s beer garden, with access off Church St, Richmond, is one of the most beautiful features of this iconic venue. 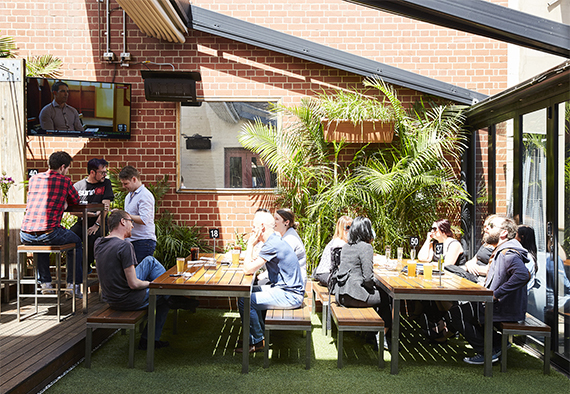 Now serving a range of cocktails and perfect for summer and spring, enjoy a delicious pub meal in our semi-protected garden area. 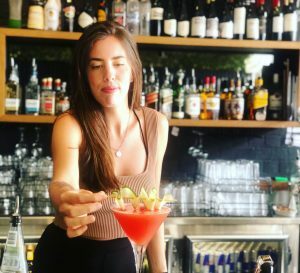 The exposed brick and amazing black iron are a standout on Richmond’s bar scene and the area is sensational for private events, holding up to 150 people for cocktail functions. 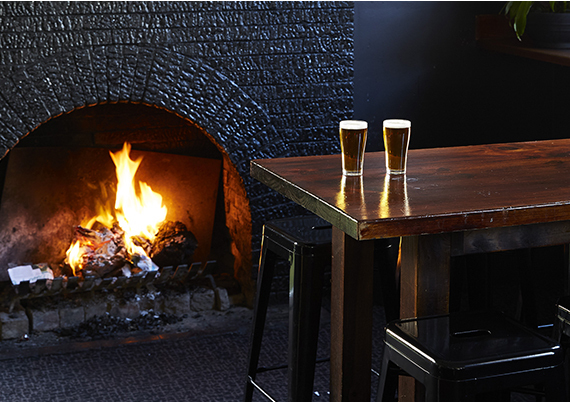 Enjoy the charm of our Swan St front bar, with an open fire place, great music and numerous screens showing all live sport and events. Every Friday and Saturday features a great local DJ or live band and our friendly bar staff promote an atmosphere of fun and relaxation. 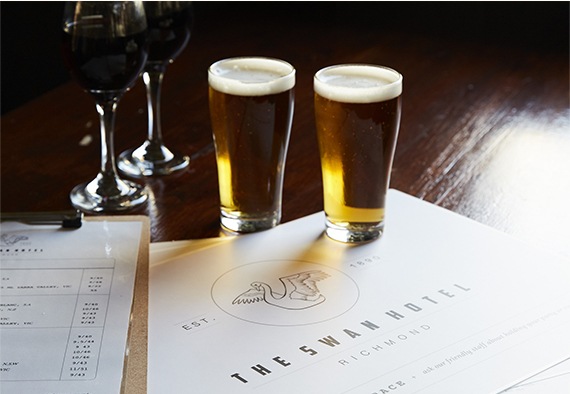 Kick off your night with a relaxed meal and great company at The Swan. 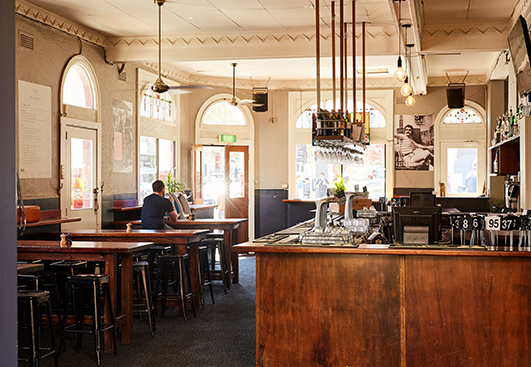 Just off our main bar is our relaxed Dining Room, seating up to 40 guests who can enjoy our range of delicious, well-priced modern Australian pub dishes. 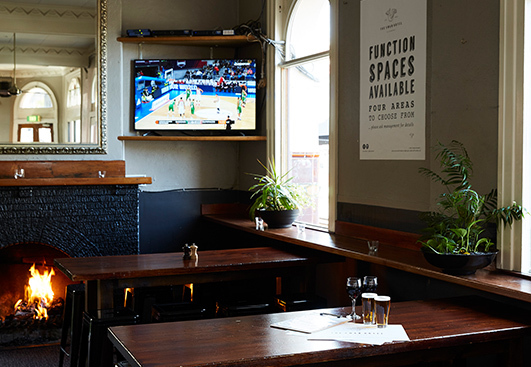 Bookings are recommend as people often gather to listen to the great music or live sport while enjoying our relaxed Swan food and atmosphere. 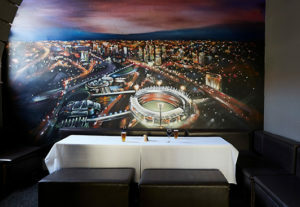 Please call us on (03) 9428 2112 to make a reservation. The Swan Hotel also offers a unique room to chill out with up to twenty friends. With a small fireplace, the Swan “Chill Out” Room is perfect for intimate, cozy dining or to catch up on a little bit of work over a quiet beer. Food is available from the bar or you can host a small function with nibbles from our function food menu. 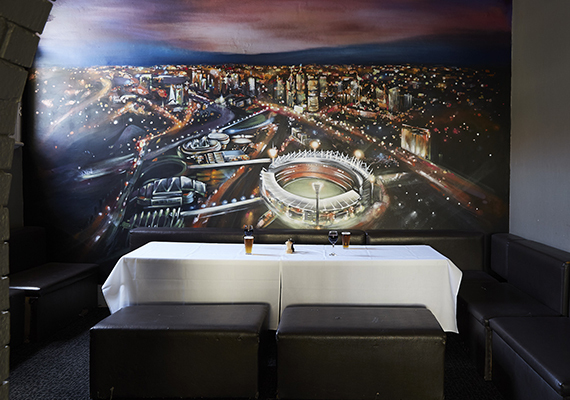 Established in 1890, close to the Melbourne CBD and Chapel St, The Swan Hotel in Richmond offers a variety of semi-private and private spaces to make your function one to remember. Whether you are after intimate gatherings, corporate groups or large parties, The Swan has a perfect space to suit your catering and budget requirements. Our simple yet modern menu, offers guests a variety of canape style options for cocktail style stand up events, set menu options for sit down dining or corporate platters for business meetings.